Sourcebooks is a book publisher located in Naperville, Illinois with a strong belief system that “books change lives,” Sourcebooks is constantly looking to create books that help inform, teach, and inspire. As a home to more than a dozen New York Times bestsellers, including poetry and children’s titles, Sourcebooks is publishing innovative mixed-media titles in thrilling digital formats. This fiercely independent, innovative, and groundbreaking company believes in the power of story. Baby University is a leading book series published by Sourcebooks. 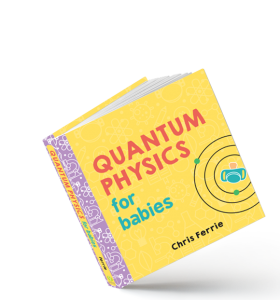 Created by Chris Ferrie, an academic at the University of Technology Sydney and Centre for Quantum Software and Information, Ferrie was inspired by his own children’s curiosities about the world to create the Baby University series. From science to math, and technology to engineering, Baby University is the smartest way to introduce toddlers to big ideas while creating a shared learning experience. Marianne is a beloved author and illustrator who has touched the lives of millions for nearly two decades through her award-winning and bestselling books. All of Marianne’s books are meant to help people feel their feelings and offer meaningful ways to connect with the moment that matter and the ones they love. Adam Wallace is an Australian-based energetic and passionate New York Times Bestselling author who works with Andy Elkerton, a United Kingdom-based children’s booked illustrator. Andy was nominated twice in the prestigious Language Learner Literature Awards. 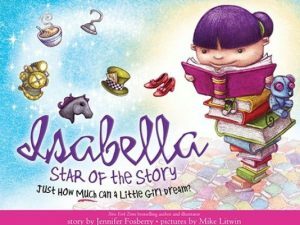 From breakfast to bedtime, Isabella is a young girl who imagines being different women who made history, and ends the day empowered to be herself. Author, Jennifer Fosberry is a science geek turned children’s book author. After working in Silicon Valley and running away to Costa Rica for a few years, she returned to the San Francisco Bay area to read, write, raise kids, and get out of doing the housework.